We can only approach God’s presence God’s way. But are there multiple ways? The New Testament clearly reveals that only through Jesus can anyone come to God the Father (John 14:6; 1 Timothy 2:5; 1 John 2:23). But what about in the Old Testament? After King David conquered Jerusalem and secured it as his capital, he desired to bring the Ark of the Covenant up from Kiriath-Jearim into his new City of David. But in his passion to have God’s presence, David neglected to follow God’s principles. That negligence of improperly transporting the Ark cost a man his life (2 Samuel 6). Three months later, David correctly transported the Ark into Jerusalem and placed it in a tent he pitched for its keeping. In this experience, David gained a profound respect for God’s holiness. This principle directly relates to the question: did the Old Testament offer only one way to God? David’s Question: Who May Approach God? O Lord, who may abide in Your tent? Who may dwell on Your holy hill? (Psalm 15:1). David’s answer ought to humble every one of us: Only holy people may approach a holy God (Psalm 15:2-5). That excludes everybody (Psalm 14:13; Isaiah 53:6). The single possibility of approaching God comes by His grace in removing the obstacle: our sin. But how can a God who is just do such a thing? The exclusivity of only one way to God is not a New Testament concept. It began long, long before Jesus Christ. Abraham was declared righteous by God by grace through faith (Genesis 15:6). And this faith occurred before circumcision and before the Old Testament Law. King David understood that God credits righteousness apart from works, by grace through faith (Psalm 32:1-2). And this is during the Old Testament Law. The Prophet Habakkuk wrote that one can only be righteous before God by faith (Habakkuk 2:4). It’s not enough to believe in God and live as sincerely as we can. The only way to God the Old Testament has ever prescribed is by grace through faith—apart from works. The object of that faith has changed through the years, but we shouldn’t confuse the basis of access to God for the means. No one has ever entered God’s presence without faith in Him. That faith becomes righteousness on the basis of a sacrifice for sin. For Adam and Eve, it was the garments of animal skin God clothed them with (Genesis 3:21). For Moses, it was the temporary sacrificial system in the Tabernacle (Psalm 40:6-8; Hebrews 10:1-10). This system also allowed fellowship with God. Isaiah foretold that the Messiah would bear our sins (Isaiah 53:6). The New Testament describes God crediting righteous those who come by grace through faith (Genesis 15:6; Psalm 32:1-2). You pay for an item with a credit card and immediately enjoy it as if you’ve paid for it. The real bill comes in the mail and you pay it. God “passed over the sins” of the Old Testament until Jesus could pay the final bill on the cross (Romans 3:25-26). I’m always amazed at those who balk at Christianity’s declaration that Jesus is the one way to God. The Bible has always been exclusive. Jesus is just the end of a system that God set up long ago. There has always been only one way to God—by grace through faith in the object of God’s choosing. If you’d like more on this topic, listen to my message: “Is Jesus the Only Way?” You can listen here. Please leave a comment: Do you believe there is only one way to God? On what basis? 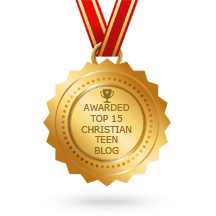 This entry was posted in A CLICK A BLESSING TODAY, BIBLE LANDS, CHRISTIAN FOUNDATIONS OF BELIEF, CHRISTIAN LIFE AND THE WORD, CHRISTIAN TAGALOG BLOGS, CHRISTIAN TEENS BLOGS, SHARING STRUGGLES , Shaping Spiritual Solutions! and tagged grace, Holiness, Law, One way, Wayne Stiles, works. Bookmark the permalink. Apart from the truths of Scripture which proclaim there is only one way to God . . .
and the reality of the experience of those who have accepted that Way . . .
. . . it is also logical that if there is only one God, there can only be one way to Him. It is completely illogical that there could be many gods with many different ways. Only one could be right. We know nothing saves but the blood of Jesus by the grace of God. Thank God for the only WAY : For by grace are you saved through faith; and that not of yourselves: it is the gift of God Not of works, lest any man should boast.